Medication is a resource that is often used to manage the symptoms of attention deficit hyperactivity disorder (ADHD), and it can be very beneficial in some instances. However, some individuals may want to try incorporating different tools or skills into their lives instead of — or in addition to — taking medication. There are various ways to manage the symptoms of ADHD without medication that are worth noting, as they can result in enhanced wellbeing and a better quality of life. It doesn’t necessarily mean you’ll be going off ADHD meds, these are simply non-medicinal ways to help you cope. Keep on reading to help you learn and discover some ways to help you cope with ADHD without medication. Much can be said of living a healthy lifestyle, such as incorporating a balanced diet and adequate exercise, even if you do not live with the symptoms of ADHD. The foods we eat as well as our activity levels can have a direct impact on how we feel, which extends to every other area of life. Diet and exercise may prove useful in managing symptoms such as focus and energy levels. Exercise can also be a good outlet for restlessness, hyperactivity, or impulsivity. Some sufferers have also found many benefits in acupuncture for ADHD as a natural alternative treatment. In addition to diet and exercise, sleep is an important aspect of physical wellness. A lack of sleep can exacerbate inattention and cause other symptoms to flare up, such as irritability, so it is important to get a good night’s rest. It is also important to avoid substances that may aggravate symptoms, namely alcohol as well as certain drugs or medications, as they can have a significant impact on mood, behavior, and health. Those with ADHD are more susceptible to developing addictions, so it is important to mange the use of substances wisely. It can be challenging for those with ADHD to plan and organize, particularly if you have difficulty with executive functions, which are cognitive skills that help us in areas such as decision-making and setting and accomplishing goals. If you struggle with executive function issues, you may have trouble completing tasks, organizing, managing time, and planning, along with problems with attention and emotion regulation. This may also manifest in the form of physical disorganization, such as a cluttered home or workspace. There are certain tools that may be useful aids when planning or organizing, such as using a paper or digital planner. Planners may help with managing goals and time, and keeping track of everything in day-to-day life. Writing down and purposefully setting goals can provide motivation to keep going. If you use a digital planner, you can set reminders so you receive notifications. This may help with forgetfulness, or guide you if you get sidetracked. In addition to keeping a planner, having a monthly calendar may prove useful so you have an overview of your month, allowing you to adequately plan your time and schedule tasks or appointments. Corkboards are also a very useful tool for reminders and goal setting. They are versatile and come in a variety of sizes, and you can hang any lists or ideas you may have, in addition to reminders and other daily notes. You may want to strike out any completed tasks rather than deleting or removing them. Seeing items marked off the list can provide a sense of accomplishment, which may be motivating. Next page: More ways to manage ADHD without medication which includes educating yourself, attending therapy, and addressing your dysregulated attention. It is difficult to manage your symptoms if you do not understand your condition. Education may prove vital in navigating day-to-day life so you can gain insight into how ADHD affects you. Gaining knowledge about ADHD can also help you keep track of your symptoms. If you have a doctor or therapist, they can provide more support if they know where it needs to be targeted. Just as medication is a tool that is often used to treat ADHD, therapy can also be a resource that is helpful in finding balance. In therapy, you learn various skills and gain resources to combat symptoms that may be hindering your life. Talking about your struggles is also beneficial. Therapy should provide a safe environment and offer unbiased insight into your situation. Dysregulated attention is often a core symptom of ADHD, and while there are no quick fixes, there are ways you can work to enhance your focus or make the most of a heightened attention state. For instance, you may find that you need to work in shorter spurts of time. Allow yourself to take breaks, as this can help you to be more productive in the long run and alleviate some of the frustration that can come with inattention. 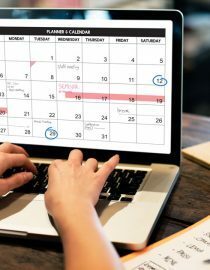 Using a digital calendar and receiving notifications can be helpful if you struggle with forgetfulness or if you become derailed in your efforts to complete a task. If you struggle with attention regulation in certain situations, it may be useful to find locations that help you focus. This could be a room in your home, or perhaps a library or coffee shop. You may also need a specific type of environment that promotes productivity. Some individuals work best with background noise, while others require complete silence. White noise machines provide a steady background noise that may drown out distractions. Music can serve the same purpose, though it may be distracting in its own right, so it is important to find the type that works best for you. Earplugs may help if you need silence to work. They block out some of the higher decibel noises, which may promote increased concentration. Many often think of inattention when considering ADHD, but hyperfocus is also a symptom that can disrupt your life if left unchecked. If possible, try to harness your hyperfocus — utilize it as a strength rather than a hindrance by exploring your creative side, or perhaps diving into your work. When doing this, it is important to have methods in place to break up hyperfocus so you do not neglect your life. You can set timers or have someone call you to ensure you’re not in hyperfocus for too long. Struggles with attention are not easily managed, but knowing your deficits and strengths can help when seeking to make a positive impact on symptoms. There is no one way to manage ADHD without medication, and what works for one may not help another. Usually, treatment and symptom management is multifaceted, so finding what works best for you is key. While medication may be one resource, there are options available when it comes to coping with the symptoms of ADHD. Living with ADHD can be a challenge, but it is possible to not only find balance but learn to thrive.